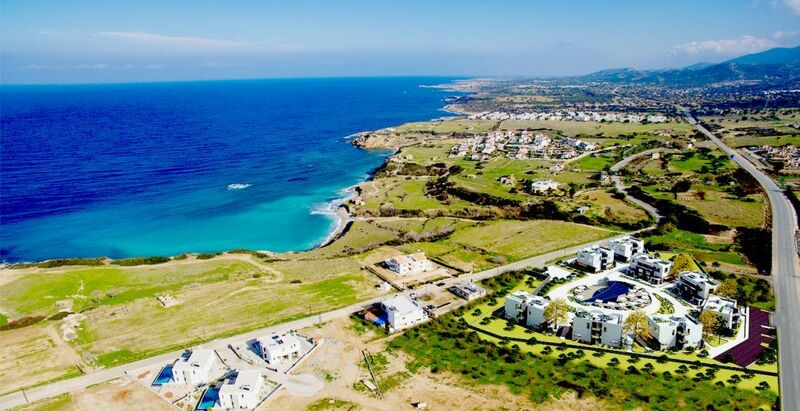 The apartments have a central location; only 30 minutes away to the International Airport of Girne ( Kyrenia). 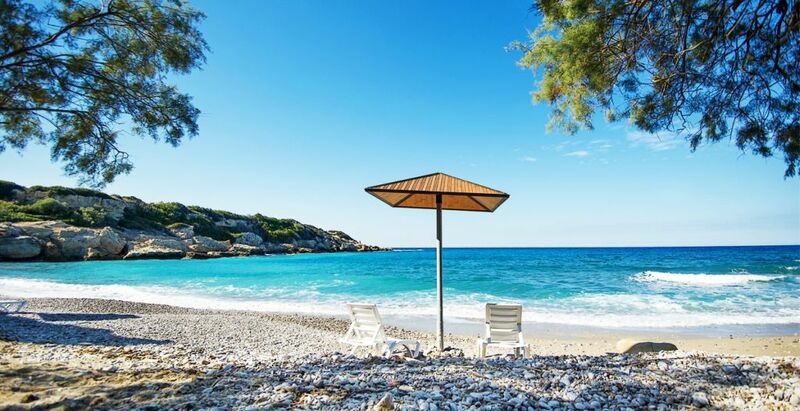 The townhouses are only 350 meters away from the beaches. 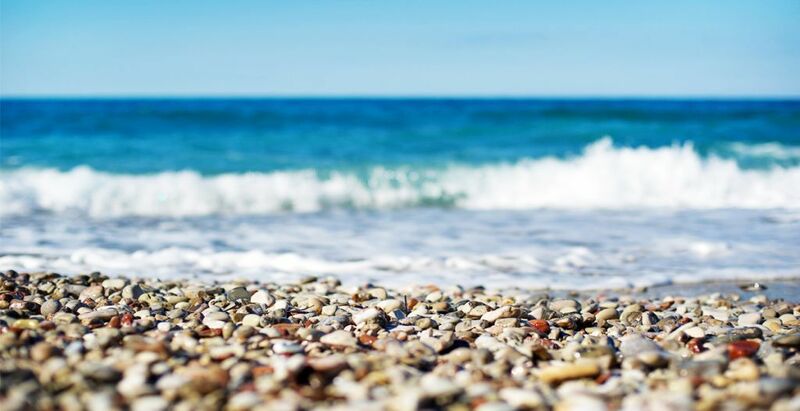 The water is warm, untouched, and crystal clear so that you will fall in love with it immediately. 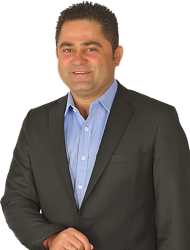 It is also very close to Esentepe district only 5 km. 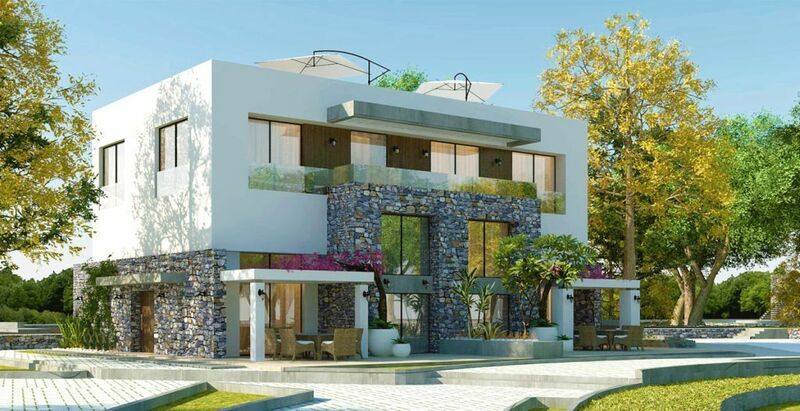 The property is also very close only a few steps to the amenities such as restaurants, pharmacies, shopping centres etc. They have large balconies where you can enjoy the breathtaking sunset and sunrise. 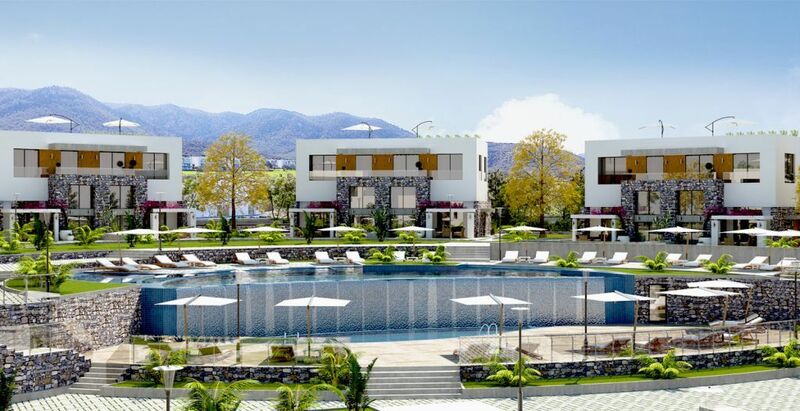 Inside the Aquamarine complex you will be able to use all facilities that is being offered by the complex. The apartments have three bedrooms and two bathrooms with a wonderful architecture. Public transportation is very easy to reach. It is just around the corner of the complex. This fascinating townhouse project will have 8 blocks and there will be 24 units in the Aquamarine complex. 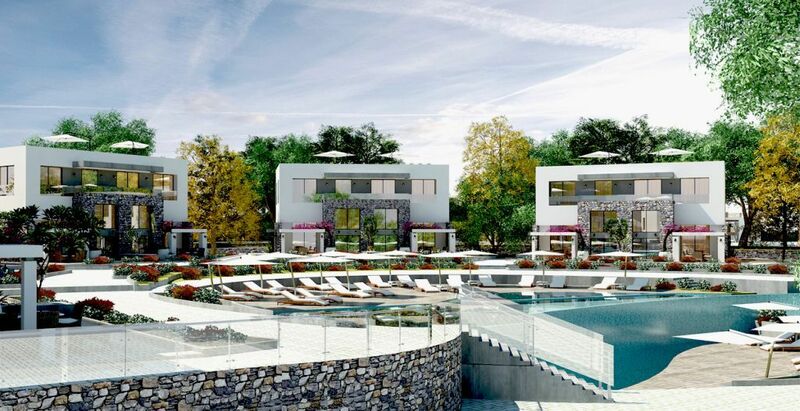 16 garden duplex apartments and 8 penthouses will define this high standardized townhouse project. Since there is a limited amount of apartments left, its better you purchase your dream property immediately otherwise it would be too late. 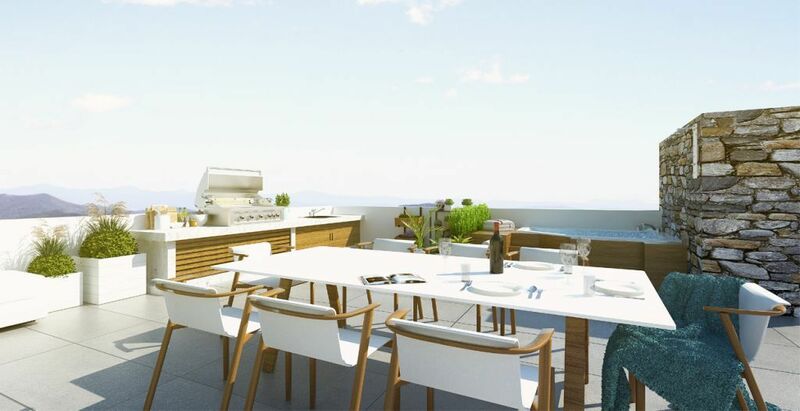 The property has air conditioning preinstalled, built in wardrobes, white goods, full furniture package, smart house system (included) and private garden which makes it different from any other townhouse projects around. 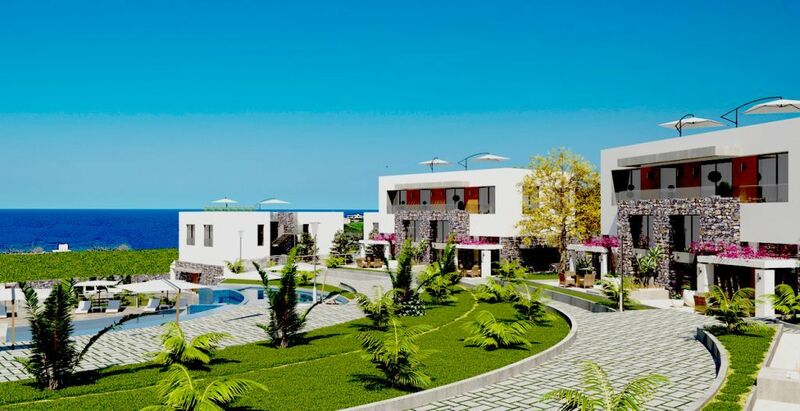 Invest your money on a property with beautiful sea view, pool and beach something that’s value all your life. 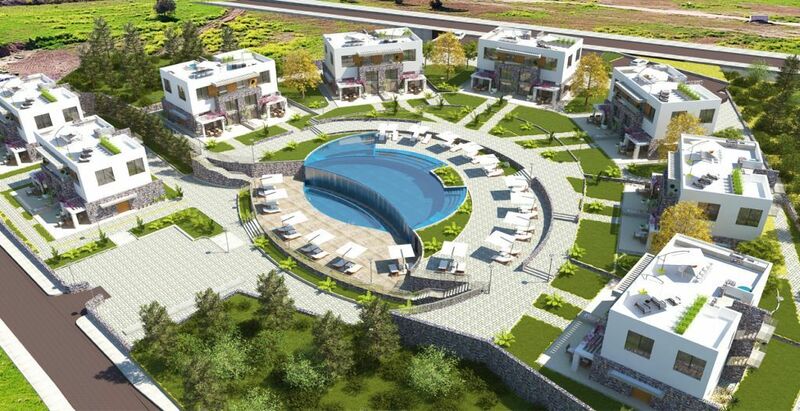 Buy one of these luxurious apartments in North Cyprus and start enjoying your life from a different dimension of life. 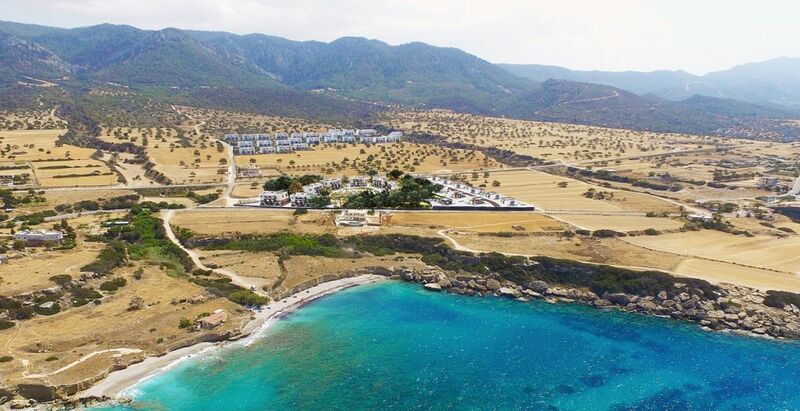 If you want to know more about Aquamarine townhouses for sale in Esentepe,North Cyprus or any other Apartments, Villas for sale in North Cyprus, do not hesitate to contact us. Our agents will contact you within 24 hours.